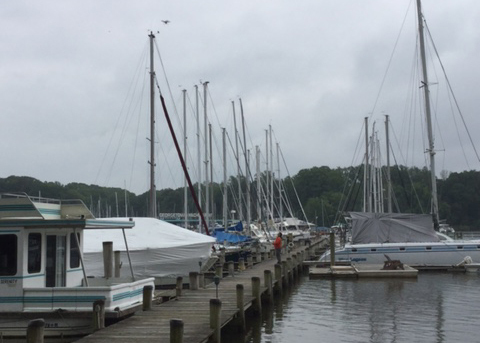 Sailing Associates, a Maryland marina, offers a host of amenities and services, gaining recommendations from many Maryland boat dealers. Trust us, you won't want to miss our marina near Chesapeake bay. From complimentary coffee each morning, free wireless internet service (accessible on marina grounds) to full service and maintenance for your vessel, we offer you a relaxing atmosphere as well as a feeling of security. Our clean climate controlled shower house is available to customers through out the whole year. All marina facilities are open for on season or off-season use with exception of the pool and dock water, which are winterized along with your vessels for the freezing temperatures. We offer a meeting room adjacent to the shower house for your convenience during inclement weather which hosts a book and game exchange library. There are additional books, DVD’s, videos, etc. in the office lounge for exchange along with complimentary coffee and snacks for a nominal fee. Various brochures offering local information and services are available as well. If you need assistance of any kind just ask our friendly office staff. The marina is centrally located and within close walking or ‘dinghy’ distance to several respected restaurants and supply stores. Other local eateries deliver right to your vessel! 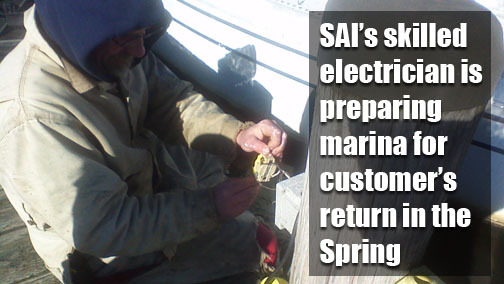 The SAI service department keeps busy 12 months of the year. Our service department is fully staffed and capable of maintaining your vessel to ABYC as well as your standards. 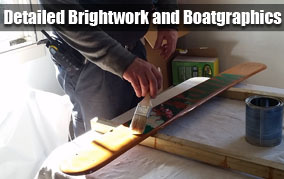 From cleaning and waxing to re-powering and re-rigging, no job is too large or too small. Our inventory is fully stocked should you wish to pursue your own projects and we can easily order any items you may need that are not in stock. 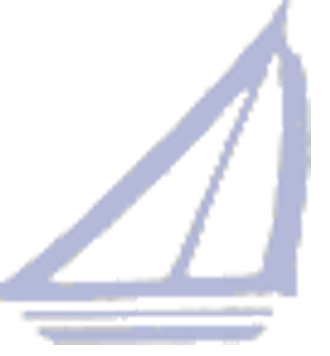 We are dealers for most of the sailboat engine manufacturers and rigging suppliers.